With a stunning 7-inch display, powerful quad-core processor and all-day battery life, Nexus 7 was built to bring the best of Google in a slim, portable device. With a vibrant, 1280x800 high-resolution display, Nexus 7 brings apps, games, books and movies to life in stunning clarity. Over 1 million pixels in your hand means text is sharper, HD movies are more vivid and gameplay is smooth and dynamic. All of this is protected under scratch-resistant Corning™ Gorilla Glass and designed for the whole family to pass around and enjoy. Nexus 7 was built by ASUS and comes with a NVIDIA® Tegra® 3 quad-core processor so everything is faster: Pages load quickly, gameplay is smooth and responsive, and running multiple apps is a breeze. 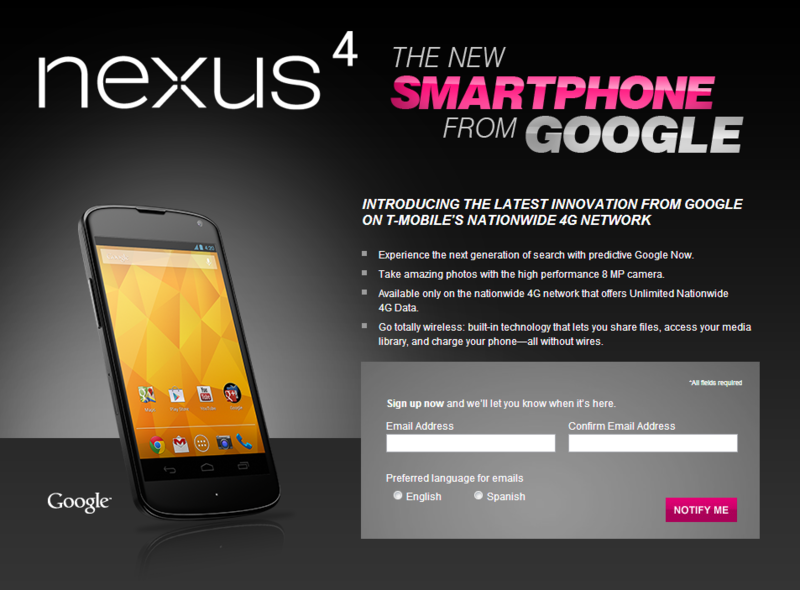 The Nexus 4 is expected to launch in "select T-Mobile retail stores and online" starting November 14th, just one day after the phone's planned Play Store debut. The handset will cost customers $199.99 with a two-year service agreement, which is just $100 off Google's $299 price for an unlocked unit. Google's 3G-connected variant of the Nexus 7, on the other hand, will be sold directly from Google Play with T-Mobile service starting November 5th. For the full press release, just look below. 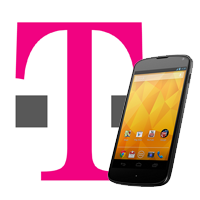 § Value Plan: $99.99 down payment after a $50 mail-in rebate card and 20 equal payments of $20 per month with a two year service agreement on qualifying voice and data plans. o The AllShare Cast Wireless Hub accessory is currently available in T-Mobile retail stores and at www.T-Mobile.com for $99.99. o The MOGA™ Mobile Gaming System will be available at www.T-Mobile.com on 10/31 for $49.99 and will be in select T-Mobile retail stores on 11/14.